If you can’t choose between Nike‘s classic Air Max 97 “Silver Bullet” and the “Metallic Gold” iteration, these new colorways have both. 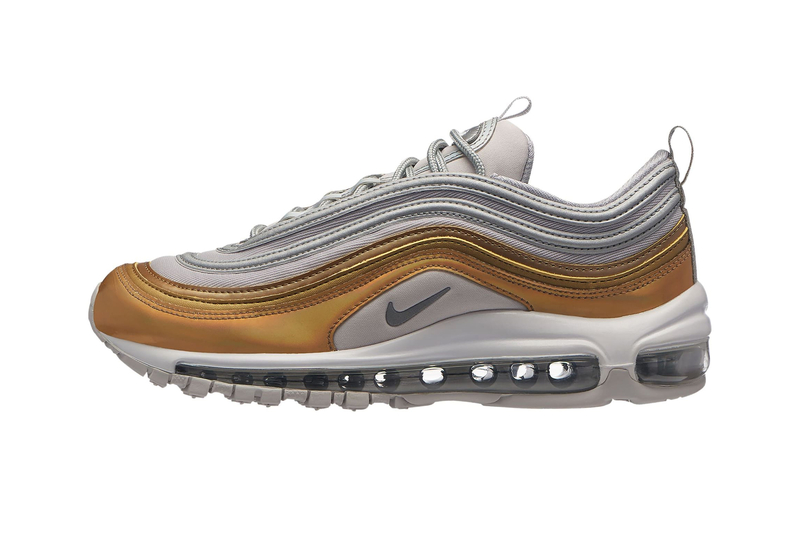 Two special edition Air Max 97 styles have emerged bearing a split panel upper that sees either metallic silver on the top and gold on the bottom, or vice versa. There are some slight design differences. The pair with metallic gold on the top and silver on the bottom features black detailing via the mesh base. The inverse colorway keeps it simple with a grey base for a clean two-tone look. As usual, both silhouettes feature a full-length Air Max sole unit for that classic retro design. These Nike Air Max 97 SE colorways are slated to release on November 23. Let us know if you prefer these to the original “Silver Bullet” or “Metallic Gold” version in the comments below. For more upcoming sneakers, Nike has an LA Lakers and NY Knicks-themed Air Max 95 in the pipeline. A new Yachty project has arrived. A “Hopeless Romantic” follow up.